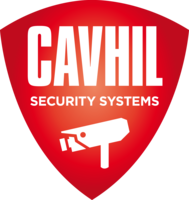 With over 10 years experience in the home security sector, CAVHIL Limited Security Advisors carry out home security assessments, offer crime prevention advice and provide home security solutions for your home or business. Using the latest technology we can provide a quality service at an affordable price. Our products include Smart Intruder Alarms, CCTV with Remote Viewing via App, Door Entry Systems, Security Lighting and more. We offer a bespoke service - each system is tailored to suit your individual or business needs and requirements. Our customers buy with complete peace of mind as all our installations are covered by a 2 year product warranty and a 5 year CPA insurance backed guarantee. Following a break in I checked for a local Which Recommended CCTV installer. I contacted Mike Cavhil who very promptly called and explained / discussed our options. I was anxious to get the property covered with CCTV ASAP and Mike managed to oblige. It was installed as arranged and every effort was made to make sure I was happy with the fitting and full personal instruction were given. I was assured that this was the best available equipment for my budget and have no reason to doubt it. A follow up visit appears to be the norm to make sure all was well. After a few weeks I did ring to ask for advice on operating, there was a lot to take on with this 6 camera system, the response was first class. Thanks Cavhil. Prompt attention from the initial enquiry. It was clear they intended to make sure I was totally happy from the beginning to the end. Comprehensive operating tuition. Great follow up. I'm glad I used Which Trusted Trader. Mike and Ian from Cavhil installed a security camera system at our property on 20th November. Their work was professional and tidy and their security assessment was excellent and detailed. I was particularly impressed that the company policy is not to present the invoice until all work is complete and the system has settled down and is working as expected. In our particular case, we had an issue with one of the cameras that was struggling to give a clear picture at night. Mike returned with a replacement camera and installed it. We then experienced a similar issue. Cavhil investigated thoroughly, including technical assistance from the camera manufacturers but the reasons were not apparent to any of us. Far from being daunted by this, Mike and Ian returned again in the evening and ran exhaustive tests. After discussions with myself and an amount of trying different solutions they found that it was an environmental issue (a spot refracting light) and set the system up to deal with it. At no stage was there any suggestion that an invoice would be presented until the system was working to our satisfaction and at no stage did Mike back off and tell us there was nothing more he could do. He stayed on the case, working late into the evenings, to ensure complete satisfaction. Cavhil encountered a problem not of their making and worked tirelessly with us to rectify the problem. I could not have hoped for better customer service and we now have an outstanding camera system. A very clean and tidy installation. Nothing too much trouble and took time to explain everything to us. We opted for both there HD CCTV system plus alarm system. Extremely knowledgeable about there equipment and happy to come and demonstrate both systems. Insulation was very professional and done to a high standard. Both Mike and Ian were excellent and we are both impressed with the service provided. Would highly recommend. Cavhil travelled a fair way to demonstrate intruder and camera systems. Very confident and knowledgeable in their products. We opted for a wireless intruder system and a high end ultra high definition seven camera recording system which would enable police to zoom in for facial recognition to help prosecution cases. Install was delayed somewhat because of personal injury issues but we were kept fully informed about the injury and projected start dates. When the installation commenced it was swift and very professionally done. We were kept fully informed on progress throughout and were briefed on different aspects of the install which required our input or selection of options. A sensor fault soon after install was handled very effectively by talking us though the system's engineering menu by phone in order to temporarily disable the offending sensor, which was replaced when the intruder detection system was fully commissioned on their confirmation visit a few days later. We have no hesitation in recommending Cavhil Ltd. A professional, knowledgeable, flexible, considerate, well-run, company. The owner Mike came to our property and expertly demonstrates the latest cctv cameras which he recommended for us.Mike and an electrician came to fit recommended equipment approx 4 weeks later to a very high standard with minimal mess and inconvenience.We would highly recommend and would not hesitate in contacting this company again for any future upgrades.